There is no substitute for being on the ‘X’ when you’re hunting ducks. The spot where the ducks want to be may change year-to-year, and even throughout the season as water levels increase or food availability changes. These factors make it extremely challenging to place a permanent blind in a location that will be consistently productive for the life of the blind. 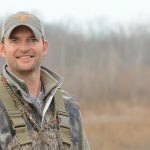 Here are a few factors I will always consider when deciding the location and orientation of a blind. Wind directions – What winds are you wanting to hunt out of this blind? In the Midwest, our prevailing winds are out of the west. A blind that faces east allows you to hunt a north, northwest, west, southwest or south wind leaving you with crossing shots for north and south and head on when the wind has some west to it. You may already have multiple blinds on the property that are set up for specific winds, so when adding another blind to your arsenal, choose orientation based on what wind you don’t currently have blinds set up for. Sunrise and sunset – Where is the sun going to be when you are hunting this spot? 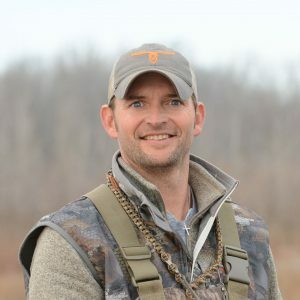 For east facing blinds, the sun can play havoc on picking out drakes at certain times of the morning on a sunny day, so cocking the orientation slightly northeast can help keep from staring straight into the sun. Though it’s less likely to get an east wind on a bluebird day, having the sun at your back helps conceal your blind in the shadows, puts the sun in their eyes and gives you a picture perfect, high definition look at the approaching birds, making a west facing blind another great morning option. Water depth – In north Missouri, it is likely we will spend as much as half of the season contending with icy conditions. Having some Ice Eater depth water in front of the blind is desirable. If you’re going to be hunting this spot early in the season, make sure you have enough water to float a sizeable spread when water levels are low. Will the water be too high to wade late in the season when your pool is maxed out? 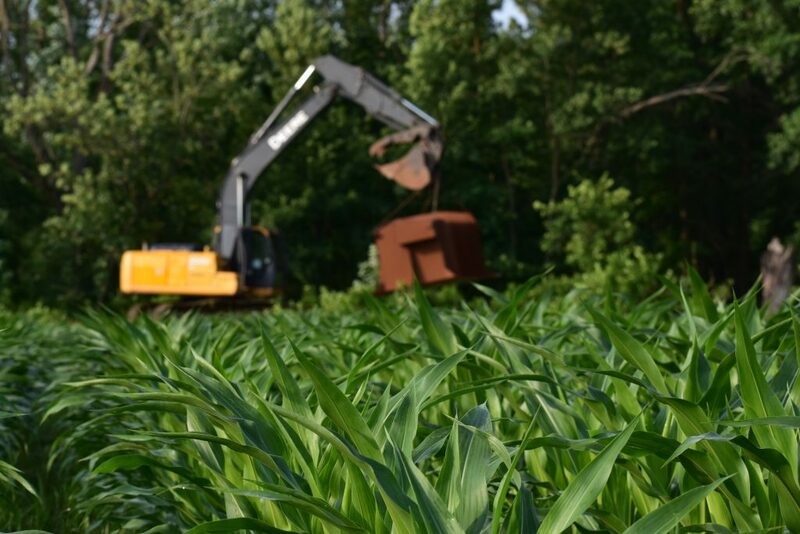 Can you get corn-depth water around the blind if you’re hunting a flooded ag field or will plant food plots near the blind? Is the water going to be 6-18” (optimal feeding depth for dabbling ducks) in depth if you’re hunting over moist-soil in this situation? Scouting reports – We’ve all been there, sitting in a blind watching ducks pour in a spot 150 yards away, while you and your hunting buddies are discussing how to get a blind over there next year. Waterfowl will use certain spots naturally, so try to figure out why. It may be due to the elevation of the pool and relative water depth, the thermal cover provided by the woody vegetation on a blustery day, the food source that is available this year or the fact that they don’t get shot at in that spot. 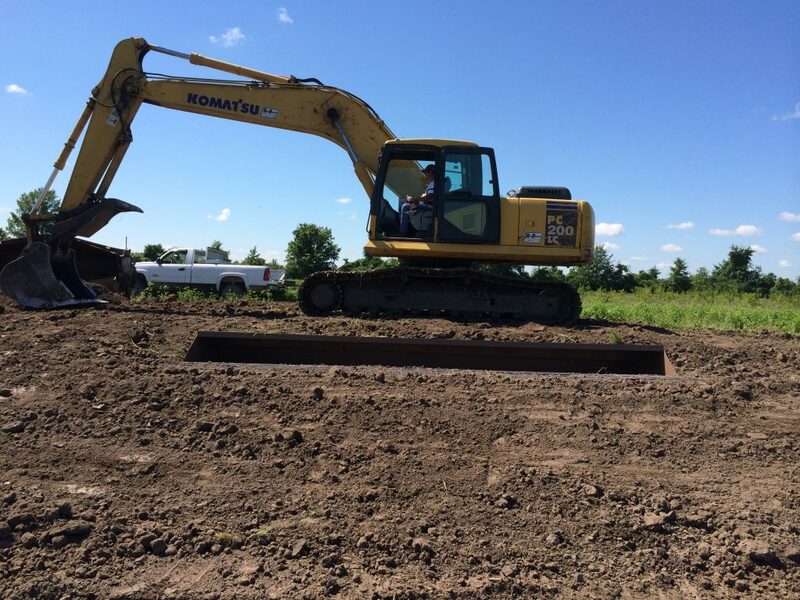 Build a strategic plan around the location and consider the most desirable wind directions, season timing (water depths and food sources), ability to plant food plots or manage moist soil, ability to conceal, and access to the blind. Then execute your plan and make the necessary modifications to the plan from one year to the next. It may mean you need to move the edge of your food plots to tighten up the upwind side of your spread or adjust your water-level management plan to create the optimal feeding conditions for the time of the year you are going to use the blind the most. Do you want the sun over your shoulder or the wind at your back? I’ve found that being decisive and choosing why you’re going to hunt a spot is almost as important as where it is.